Stroke index one, a strong, long par four. A driver needs to be threaded through the two fairway bunkers to leave a medium to long iron to the green. Favour the right hand bunker as this can be carried in normal play conditions. The second plays a little longer. Again a three shot strategy may be the best option here to avoid a high number. 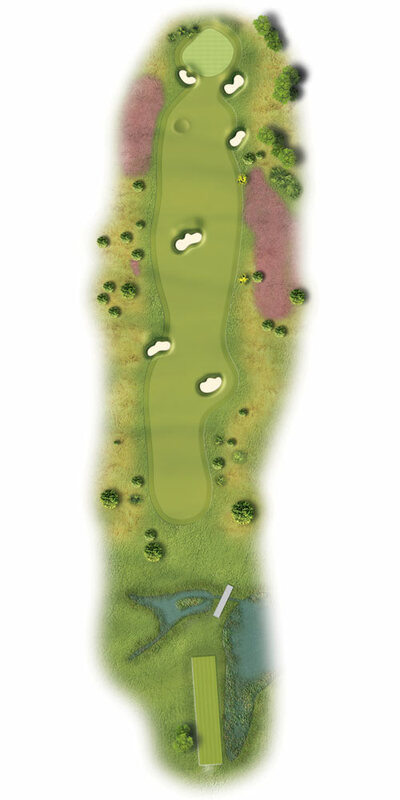 A drive short of the fairway bunkers followed by a lay-up over the cross bunker 100 yards short of the green will leave a pitch to the green and the chance of a par with a one putt.